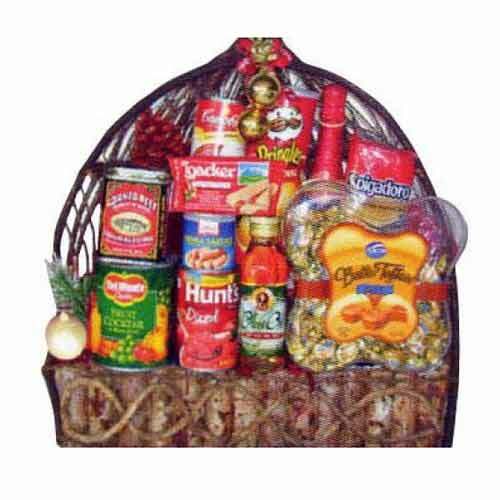 Product description: Earn appreciation for sending this Glorious Willow Basket Hamper for Midnight New Year to your loved ones. 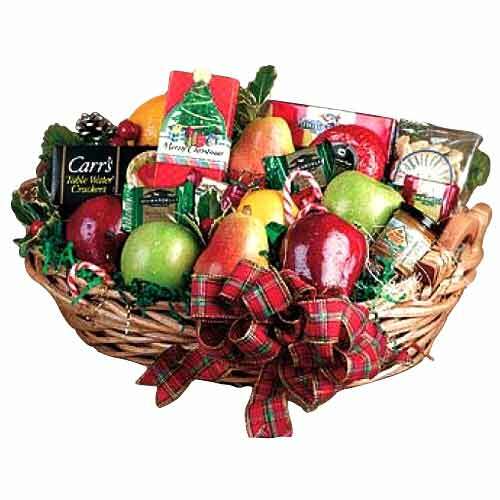 This Outstanding Willow Basket beautifully is furnished with Magnolia Cheezee Filled Cheese 200 gm., Del Monte Pineapple Tidbits 439 gm., Del Monte Juices, Four Season 202, Del Monte Fiesta Fruit Cocktail 439 gm., Del Monte Macaroni Salad 400 gm., Del Monte Pineapple Crushed 439 gm. 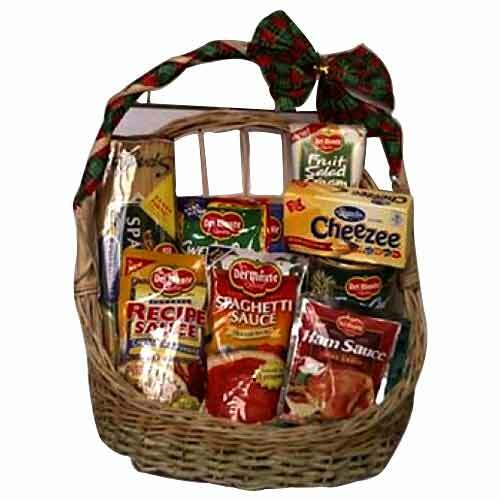 and Del Monte Macaroni Shell 350 gm. 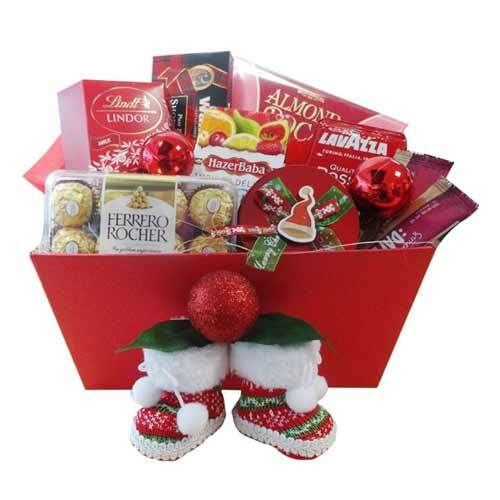 This Basket is ornamented with a Pretty Ribbon. 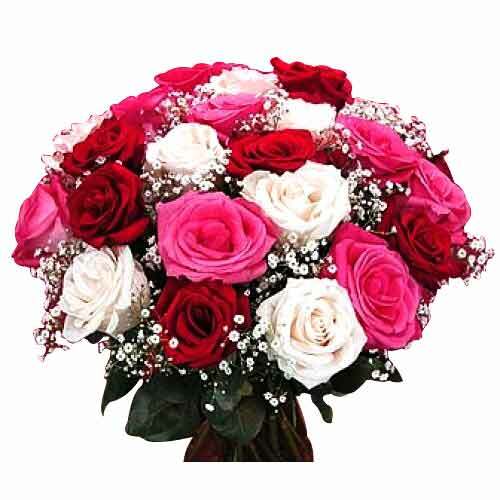 Red, Pink, White roses mix in vase with baby's breath. 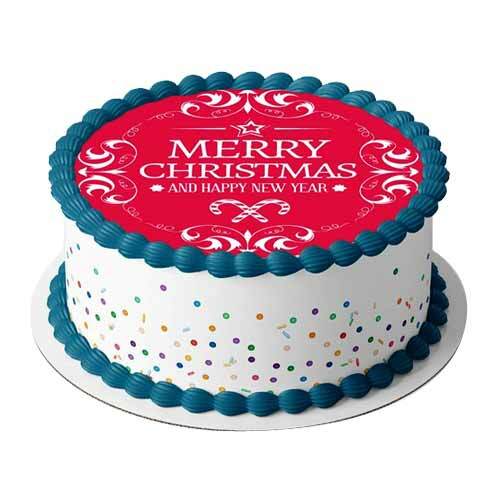 12 pcs diferrent color roses mix. 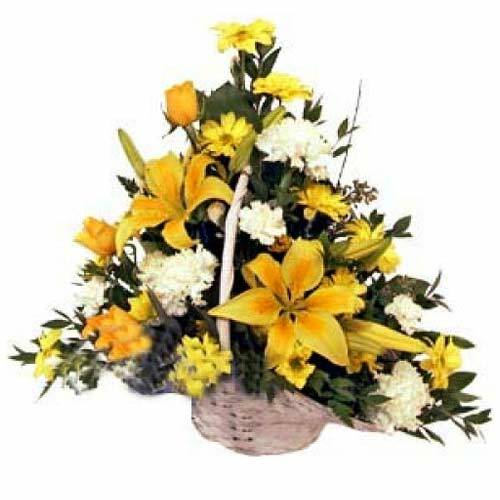 One-sided arrangement in a basket featuring lovely yellow and white roses, lilies, daisies and carnations.